As much as we love to work in the wilds of the Colorado Plateau, the reality is that we spend most of our time in cities. 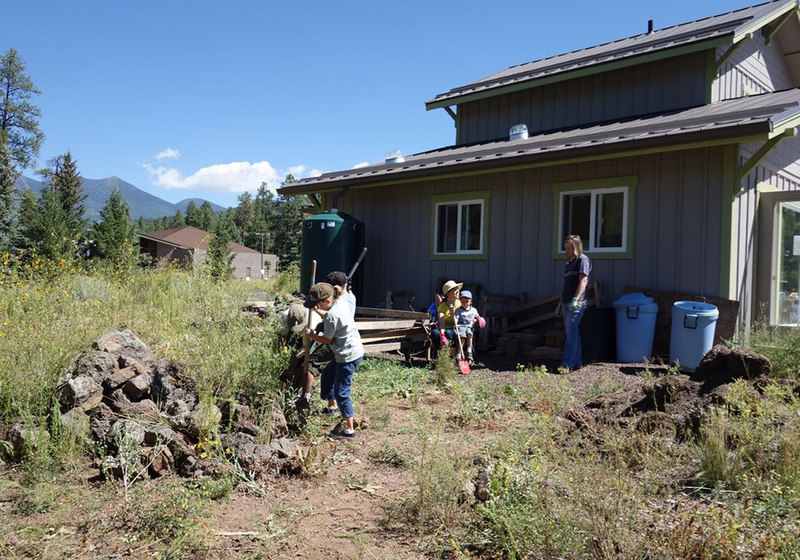 So, we’ve partnered with TerraBIRDS to turn our backyard at our homestead in Flagstaff, Arizona into a restoration classroom. 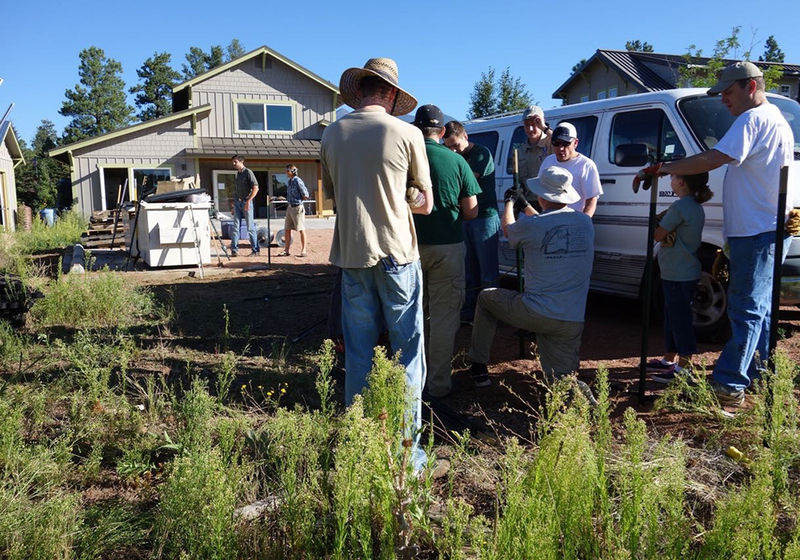 We use and teach the same restoration principles as we do in the field, only on a much smaller scale in an urban setting. 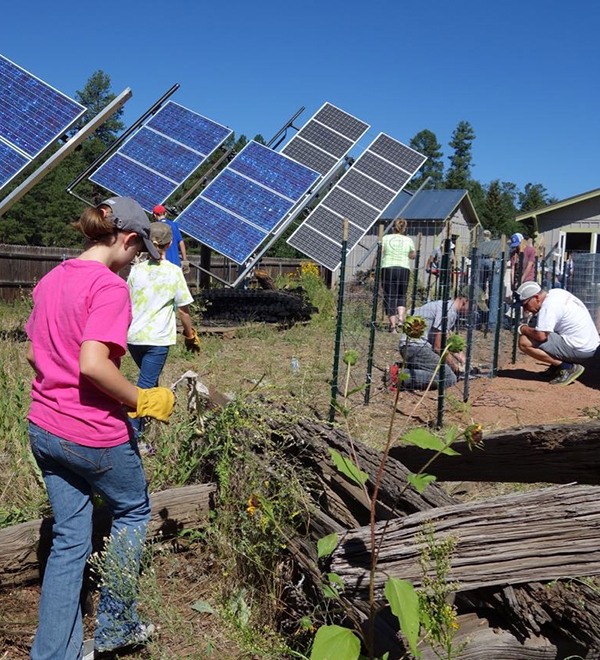 Since 2013, TerraBirds and students from Ponderosa High School have put a great deal of sweat and love into designing a garden space that is irrigation free, home to pollinators and wildlife, and a respite to enjoy. 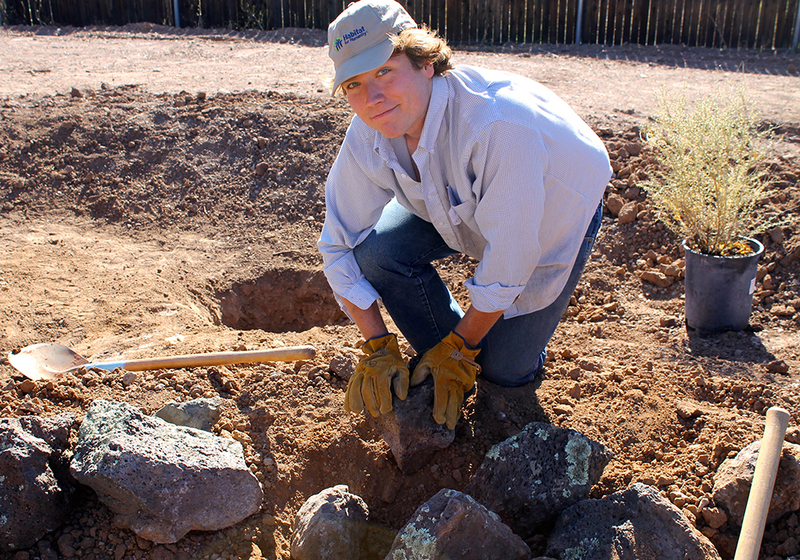 Conserve water — We collect rainwater, landscape with native plants, and don't irrigate. Cultivate healthy living soils — We compost yard waste. Provide and protect wildlife habitat and corridors — We've planted milkweed and other native plants to attract butterflies. 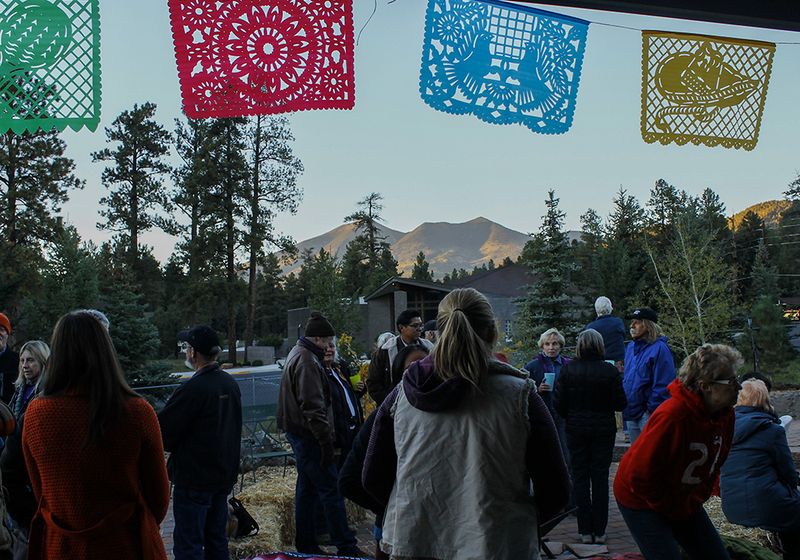 Serve core human needs — We use our backyard as a community gathering space. 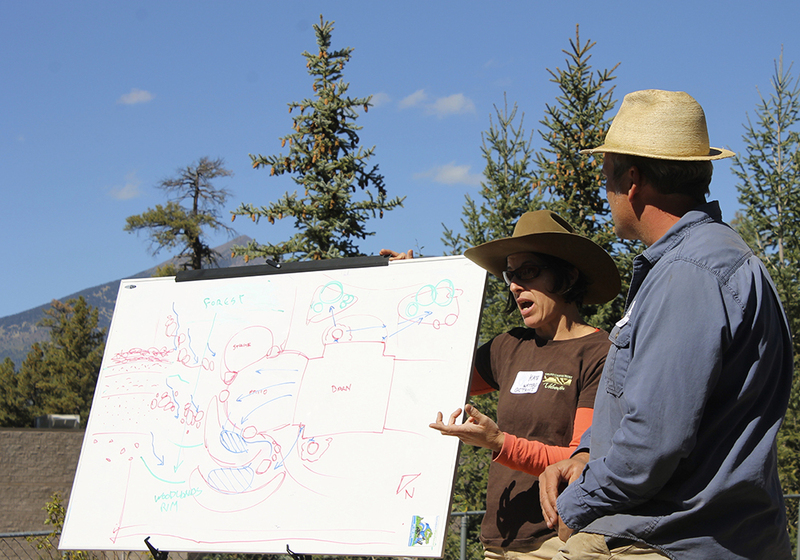 Not everyone has the time or flexibility to join us in the field, so we host workshops and workdays to get more students, volunteers, and community members involved in conservation. 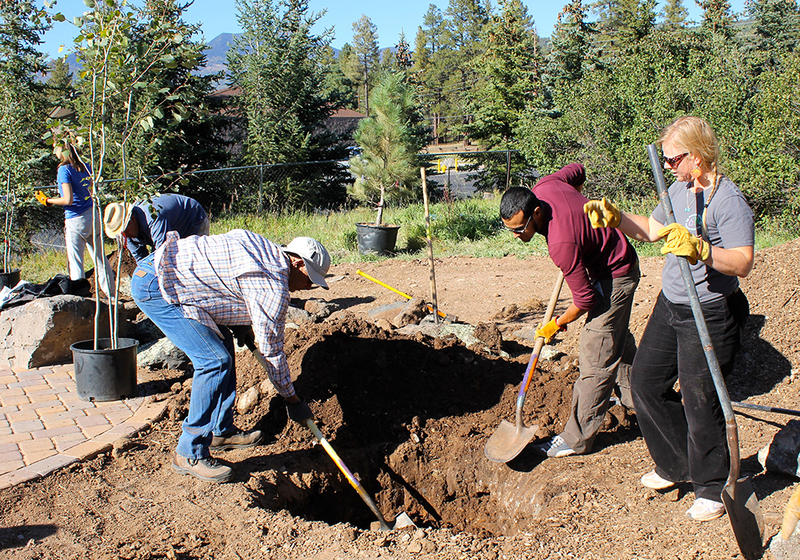 Now that most of the back-breaking work of moving rocks, digging holes, planting trees, and building features is complete, we've started to incorporate food production into our backyard sanctuary. 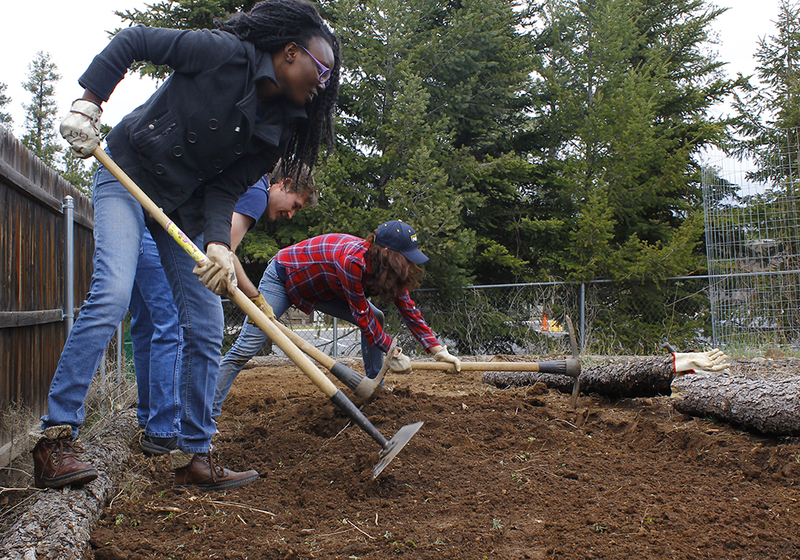 Local high school students are using the space to illustrate and test different ways of growing food in cities, including raised beds, food forests, and ground plots. 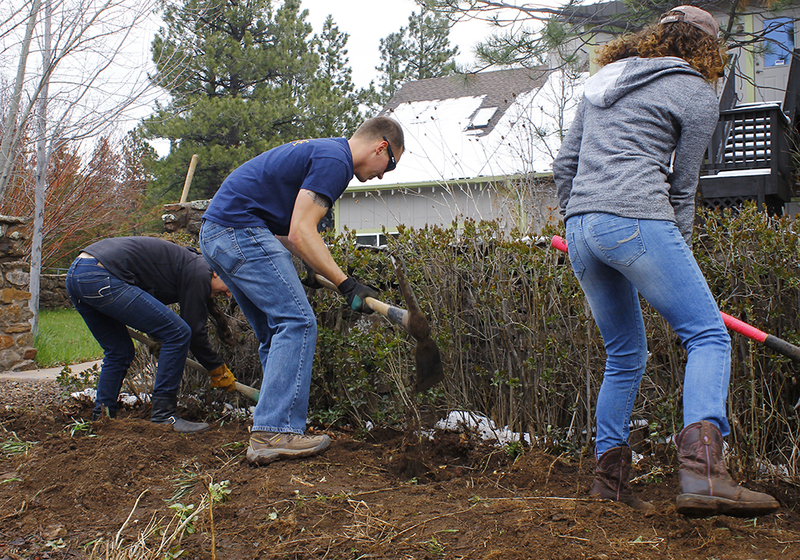 Why care about urban land stewardship? Incorporating land stewardship into our everyday lives is a way for us to conserve scarce resources, like water, lessen our carbon impact, and create desirable places for people to live, work, and play.